Rephrasing The Beatles, we can express one of the most real…realities of our world. Corruption. It is WikiLeaks, the founder of which (Julian Assange) is in the asylum of Ecuadorian embassy in London to avoid extradition to Sweden and from there to US because he published secret documents which are secret because they involve worldwide “sins” i.e. 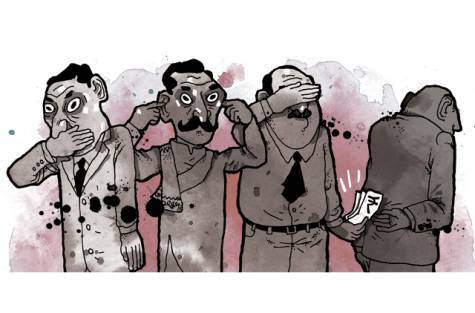 crimes and corruption and vicious policies and wars and invasions and murders and…. It is Edward Snowden who is in (kind of) asylum in Russia to avoid arrest because he leaked information concerning global surveillance programs of NSA and other non “public benefit organisations” of many “civilized” countries, against all the people of the earth. There are also many whistle-blowers who served society and the people and now they are in prison. (Here I don’t put a link to Wikipedia as the article for the term is at least despicable and apparently written by “mandated” writers who aim to misinform naïve people. In any case, “its neutrality is disputed” according to included notice). These whistle-blowers are in prison because they revealed classified documents which concern all of us but none (of us) is allowed to see them. On 2nd of April, WikiLeaks published a teleconference between two IMF officials talking about Greek debt. Any elementary informed person knows the economic condition of Greek people during the last six years and any elementary thinking person should know that in every country where IMF is involved (i.e. lends) also imposes austerity, impoverishes people and destroys the economies. They are institutionalized economic assassins (see video). Christine Lagarde never denied the leaked conversation which is revealing plans about default and financial asphyxiation of Greece, as they did last summer. She only complained about “unsafe” communications, said that these are “nonsense” and more or less accused Greek agencies for the tapping. 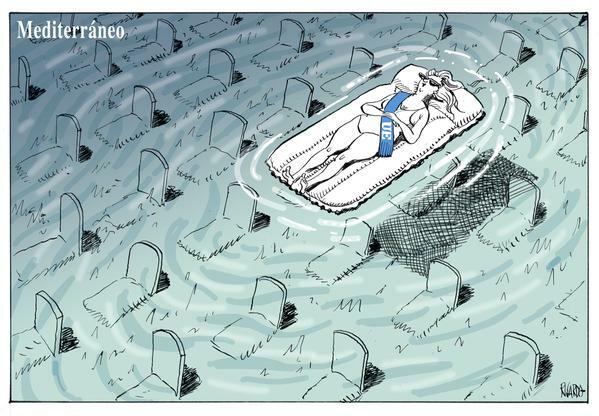 In the meantime, Greeks suffer and the country is in danger, in many respects. The next day, on 3rd April, another leak exposed scandals, but this time through legitimate investigative journalism. As a newsletter member of ICIJ, I received an email which announced the journalistic success of #PanamaPapers. Oh, how I admired those fearless journalists with the series of successful revelations! – LuxLeaks, another tax evasion scandal involving Luxembourg and its then PM, guess who, Jean-Claude Juncker. (Have you ever heard anything about the scandal since then? Probably not). – Evicted and Abandoned – World Bank, is about the promises for development of poor countries and communities who are forced by World Bank to abandon their lands. (Have you ever heard anything about the inhuman, typically neoliberal, practices of the “respectable” organisation? Sure you haven’t!). Swiss Leaks, Australian Mining in Africa and many other interesting and informative revelations. A new investigation by the International Consortium of Investigative Journalists, the German newspaper Süddeutsche Zeitung and more than 100 other news organizations around the globe, reveals the offshore links of some of the planet’s most prominent people. In terms of size, it is likely the biggest leak of inside information in history – more than 11.5 million documents – and it is equally likely to be one of the most explosive in the nature of its revelations. The leak exposes the offshore holdings of 12 current and former world leaders and reveals how associates of Russian President Vladimir Putin secretly shuffled as much as $2 billion through banks and shadow companies. The files also provide details of the hidden financial dealings of 128 other politicians and public officials around the world and show how a global industry of law firms and big banks sells financial secrecy to fraudsters and drug traffickers as well as billionaires, celebrities and sports stars. Is the email a bit peculiar? Yes it is! Of all the 11.5 million documents, the most important is that of Putin while the other information appear is a neutral and anonymous way. And the very next day (Monday), the whole world is writing and talking about it. Scandal! Corruption! Our taxes! Their taxes! Tax heavens! Rich and famous! I am still asking myself what’s the difference between this specific revelation of ICIJ and all the above of other publishers and whistle blowers. And yes, I find one or two. All these “bad” persons and organizations, Mossack Fonseca’s customers, are targeted for more or less obvious reasons. – Well, Putin is the easy part, OK? – Ilham Aliyev, President of Azerbaijan, is equally easy. Export of natural gas to Europe, conflicts with Armenia for Nagorno-Karabakh, support from Turkey’s Erdogan. – Bashar Assad (who the “impartial and objective” journalists call dictator in their article, such as US and their allies do). No news here. If there weren’t anyone else in the lists, there would be Assad! (No, Erdogan in not, because he spent all the money to build his palace which by the way, is invisible to Media, contrary to those of Muamar Gadhafi, Nicolae Ceausescu, Viktor Yanukovych etc). – Lionel Messi (top football player). Why? Why this good guy? Because all the people have to pay their taxes, no matter how popular they are. So, don’t feel underprivileged you little man. They all pay at some point. (Lie). – Michel Platini. Some news! Why didn’t anyone searched his assets after the FIFA scandal revelations and persecutions? – David Cameron or his dad (?). The usually obedient (bell)-boy became a little naughty recently and is going to allow a referendum which of course he already has and will even more use in favour of big corporations and banks. – Yes, banks. What’s your problem? They are European, not American. Don’t worry. – Sigmundur David Gunnlaugsson, Prime Minister of Iceland. Did you know that a year ago Iceland dropped EU membership bid? Which means that the government and the country rejected the idea to become member of the so-called Union (the organisation which allows no sovereignty, encourages fascism, racism and xenophobia and which is Germany’s protectorate). The consequent measures would be against country’s interests and in the meantime, “crisis” had already made several countries suffer from austerity. So, “thanks but no thanks” from Iceland. Not a bad idea from the part of Iceland, although it proved costly and -let me guess- not only for the PM. Who will replace him? Will he/she be more favorable towards membership? Need more? 11.5 million financial and legal records are available according to publishers. All the above though and the timing of the disclosures have a strong “smell” of extermination of demonization of specific persons, or at least and no matter their noble intentions, they are going to be used in this way. And not to disregard that they form both a decoy and an excellent bargaining chip. For which purpose? We’ll see in the near future I believe. It is necessary to underline here that I don’t imply that the scandals and revelations are not existing or that they are not real. What I say is that in the same way that terrorists are “untraceable” (while all of ordinary users of internet are monitored), the “sins” of all those entities were well known. Timing, range, Media and targeting make all the difference. there is ONLY ONE who/which cannot be located and identified: Terrorists and terrorism. Specifically before they kill, destroy, blow up, bomb, suicide. Occasionally they are found and arrested after the job is done. What makes revelations either illegal and criminal or legitimate and democratic? Freedom of information activists (we could say), like Chelsea (former Bradley) Manning and others are in prison or in exile. Governments and organisations supposedly “care and protect” people’s interests. However, systemic press and corporate media are the strongest propaganda weapons. Where, which, who, when and why (the 5 W’s of journalists) meet and ask the power and the authority as much as those playing and spreading games. What happens when behind each news, information and revelation may be hiding an ultimate goal which ordinary people cannot always interpret or decipher -and why should they? So, every information may be genuine and at the same time serve deceptive goals. No need to be afraid but also must not be naive. Just be suspicious and open-minded. The volume of publications about this week’s issues turned the article to not-so-brief but instead, and hopefully, comprehensive. On April 25 (Saturday before noon), an earthquake with magnitutde of 7.9 hit Nepal, near its capital, Katmandu. New York Times report that: “A spokesperson for Nepal’s home ministry, Laxmi Prasad Dhakal, said the preliminary death toll stood at 356, and that thousands of people had been injured. Trekkers reported a major avalanche on Mount Everest, with some teams reported missing. In addition, 13 deaths had been reported in India by midafternoon”. Later reporting of The Wall Street Journal, citing a spokesman of the police, raises the number of dead to 449* and specifies magnitude to 7.8. WSJ also mentions that there are fears that people are trapped inside debris of buildings and also that accorging to witnessess, a large avalanche has destryed camps of trekkers and adventurer’s. The same reporting informs: “In neighboring India, at least 18 people died in the northern state of Bihar, which borders Nepal, and 62 others were injured, according to Alok Raj, a senior police officer in the state” and also, “ In Katmandu, Suraj Vaidya, a Nepalese businessman, said he saw the historic nine-story Dharahara tower in the center of Katmandu collapse to the ground”. Unfortunately, nature hit Nepal; a poor country which has faced a recent wave of political turmoil amid debate over a new constitution and is struggling to restore political and economic stability. Mediterranean Sea has become the grave of more that 1,700 men, women and children refugees since the beginning to 2015 according to Amnesty International. The desperate victims of the western-ignited wars risk and many of them lose their lives. After Libya was destroyed by USA, not only the infrastructures and the refuge camps of the country cannot hospitalize asylum seekers fleeing wars in Eritrea, Somalia and Sudan as it was the norm during Gaddafi administration, but also Libyan people too, try to pass to Europe in boats. Greece, Italy and Malta are the countries which accept the highest proportion of the people trying to enter Europe searching to live a safe life. This year, 36,000 survivors reached the three countries and none of them has the means and cannot afford to keep all these people. “Only 5,000 resettlement places across Europe are to be offered to refugees under the emergency summit crisis package to be agreed by EU leaders in Brussels on Thursday [April 23rd]”, according to The Guardian’s information and a leaked confidential draft statement. The majority of them will be sent back (where?) as irregular migrants. The UN Refugee Agency “joined other organizations in a call on European leaders to put human life, rights and dignity first today when agreeing upon a common response to the humanitarian crisis in the Mediterranean”. UNHCR praise the European Union (EU) which “was founded on fundamental principles of humanity, solidarity and respect for human rights”. EU has an-anything-but honorary involvement in the destruction of Syria and Libya but also in Afghanistan and Iraq. The “literary” separation of people into migrants, asylum seekers and refugees and the try to waive responsibility are the opposite of European humanism of (very) older times. Unfortunately indeed: All dead, refugees, dead refugees, wounded physically and psychologically, are the victims of American wars and EU has given more than one hand to them. The diplomatic conflict between Spain and Venezuela hardens with Prime Minister Mariano Rajoy, recalling Spanish ambassador in Venezuela on April 22nd. The series of events started when the conservative leader of Popular Party, Rajoy, taking the role of US spokesman last October intervened in Venezuela’s internal affairs concerning detainment and trial of extreme right-wing opposition leader Leopoldo Lopez and for a second time last March, when he condemned the arrest of Caracas mayor Antonio Ledezma. After Rajoy’s first comments, Venezuela recalled its ambassador to Spain and called him to respect Venezuela in the same way Venezuela respects Spanish people. Lopez was arrested after his involvement in a wave of violence in Venezuela that sought to destabilise the government of President Nicolas Maduro, and that left 43 dead and over 1000 injured, reported teleSUR. Ledezma was arrested on February for having a role in Blue Coup, a plot of the US to overthrow Venezuelan government. “On 14th April, the Spanish parliament called on Venezuela to release members of opposition parties who have been incarcerated on charges of having played a role in violence against the government and in plotting a coup d’état. Only days before the attempted coup, the retired Venezuelan General Angel Vivas released a series of videos, calling on the people to form armed resistance cells and to prepare for a fight to the death. Meanwhile, leading opposition figures who are known for their ties to CIA and Pentagon fronts like the National Endowment for Democracy (NED), USAID, among others, released a statement in which they called for the establishment of a “transitional government””, reports nsnbc. Mr Rajoy, who is aware and concerned of the rise of Podemos inside his country, seems to choose blind conservatism. His right government has opposed “Podemos friendly” Syriza government and maintains a very tough stance against Greece during negotiations with EU. Would he let go unpunished any attempt to violently or by coup overturn his government? However, according to teleSUR, tension seemed to normalize after both sides made conciliatory statements. In a televised speech Nicolas Maduro said: “Yesterday (Friday), the Spanish government issued a statement expressing its willingness to maintain positive relations with our government; and I welcome positive relations but they must be based on mutual respect”. Maduro added that his government is willing to cooperate in any efforts to improve diplomatic relations but emphasized that Venezuelan sovereignty must be respected. The story of the uncovering of Sony Hack by Wikileaks is a topic that came to light on April 16th (see Press Release here). The aftermath though is a new reality which clearly shows that propaganda is the strong card of American intelligence and administration, Media and even Hollywood. The released documents uncover the connection between two scandals, these of the University of North Carolina (UNC) and of Sony hacking. “The University of North Carolina academic scandal involving athletes in “paper classes” consumed sports media and prompted action by university administrators nationwide. The Sony Pictures email hacking scandal shook the entertainment industry and prompted large corporations to reassess their network securities. Not surprisingly, WikiLeaks has uncovered the intersection of the two. A quick search of “UNC” on the site where WikiLeaks has published some of those hacked emails reveals that reporters and high-level Sony execs were very interested in the goings on in Chapel Hill”, reports wralsportsfun.com. And The Wrap notes: “The data, which has been indexed as a fully searchable archive on WikiLeaks, was sourced from the devastating cyber attack on the studio in November 2014. Someone should warn Mr Kim Jong Un: The next casus belli won’t take long to be invented. The pharmaceutical company Glaxo Smith Kline ordered a recall of its 4 in 1 vaccine against certain types of flu named Flulaval. GSK stated that “the vaccine might cause more harm than good because it is not good enough to protect someone from the current flu strains present in the US”. Because Flulaval is ineffective, the remaining 1.7 million doses are being recalled while GSK conducts testing on the product to prove efficiency. The recall, although for the benefit of public health, will possibly contribute to the increase of widespread skepticism and opposition to vaccination, worldwide. According to reporting of Guardian on April 21st: “A major study published in The Journal of the American Medical Association (JAMA), one of the world’s leading medical journals has concluded that there is no link between the MMR (measles, mumps and rubella) vaccination and autism in children”. The study disproves the research of 1998 of Andrew Wakefield that there is a link between MMR vaccine and the appearance of autism and bowel disease, but “the belief that autism and vaccinations are linked continues to cause many parents to decide against having their children immunised”, according to Guardian. 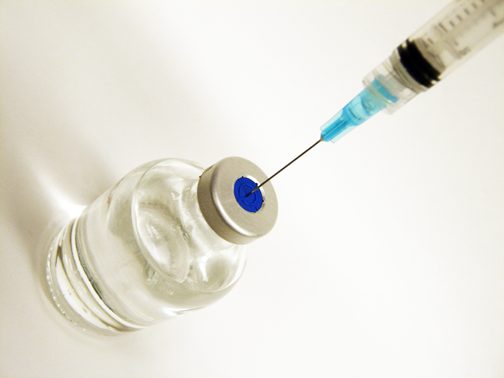 Though it is rather common for citizens of other countries in Africa or Asia to oppose vaccination -with good reasons-, there is also a strong anti-vaccination movement (AVM) which attributes to vaccination diseases (as above) in Western countries, mostly among conservatives or because of religious beliefs. In Australia, where the vaccine-deniers risked to be exempted of health services, “on 19th April, Social services minister Scott Morrison announced the exemption the religious group that calls itself Christian Scientists ‘is no longer current or necessary and will therefore be removed’. Children of members of the religious organisation enjoyed exemptions from being vaccinated from 1998. ‘Having resolved this outstanding matter, the government will not be receiving nor authorising any further vaccination exemption applications from religious organisations,’ Morrison added”, reports the australian edition of International Business Times. The distrust to big pharmaceuticals is based on facts and of many past “accidents” either from vaccines or from other drugs. The phantom of thalidomide and the near 60 year-old drama of its victims won’t stop to haunt big-pharma. 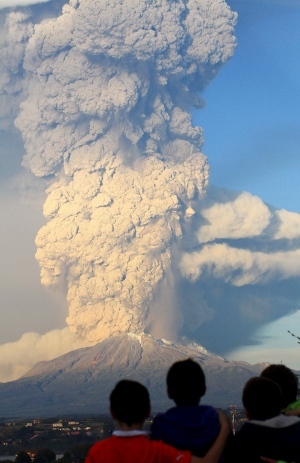 On April 22nd, Chilean volcano Calbuco erupted. Calbuco woke up after more than 40 years and Chile declared state of emergency. “The Calbuco volcano is located 900 kilometers south of Chile’s capital Santiago, and is also 600 kilometers away from Argentine Nequen province. Authorities expect the ashes from the eruption to reach Argentina. Another volcano in Chile is also in eruptive phase, the Villarica volcano, which is located close to Cabulco”, informs teleSUR. “The first eruption on Wednesday sent a thick plume of ash and smoke several kilometres into the sky and more than 5,000 people were evacuated from the sparsely populated area about 1,000km south of the capital Santiago and near the tourist town of Puerto Varas. Wednesday’s eruptions also triggered flight cancellations in Chile and Argentina while in Chile, flights are not taking off to as far north as Concepcion, 630km from the volcano, as northeasterly winds blow ash in the direction of the capital, forcing thousands of people to remain stuck in the airports”, reports Al Jazeera. “While the Calbuco eruption was the largest in recent memory, scientists suspect it will not have a detectable impact on climate”, according to The Washington Post, unlike when “200 years ago this month, a much larger volcanic eruption rocked the globe, and left the Earth with a Year Without a Summer”. Chile is one of the volcanic countries of South and Central America, together with Peru, Ecuador, Guatemala, Colombia and Argentina. In June 2011 a chain of volcanoes of the country, Puyehue-Cordon-Caulle, erupted causing earthquakes and rising smoke and volcanic ashes, which reached neighboring Argentina. Back then, the officials had issued red alert and about 3,500 people had been displaced. One year earlier, in May 2010, “two explosive eruptions shook two huge volcanoes, Guatemala’s Pacaya and Ecuador’s Tungurahua, forcing thousands of people to flee their homes and disrupting air traffic as ash drifted over major cities”, reported CBSNews. Calbuco last erupted in 1972 and is considered one of the top three most potentially dangerous among Chile’s 90 active volcanoes, according to the AP news agency. Chile, on the Pacific “Rim of Fire”, has the second largest chain of volcanoes in the world after Indonesia, including around 500 that are potentially active. In March, volcano Villarrica, also in southern Chile, erupted in spectacular fashion, sending a plume of ash and lava high into the sky, but quickly subsided. Though on TV or in photos, a volcanic eruption looks spectacular, it is certainly a frightening and dangerous natural phenomenon. “It sounded like a big tractor trailer passing by the road, rattling and shaking, guttural rumbling … we left everything there, grabbed my kid, my dog, got in the car with my wife,” said Moffat, who was driving to nearby Puerto Varas at the time, to Reuters. An “unrepresentative” for the country’s history phenomenon has emerged in South Africa. 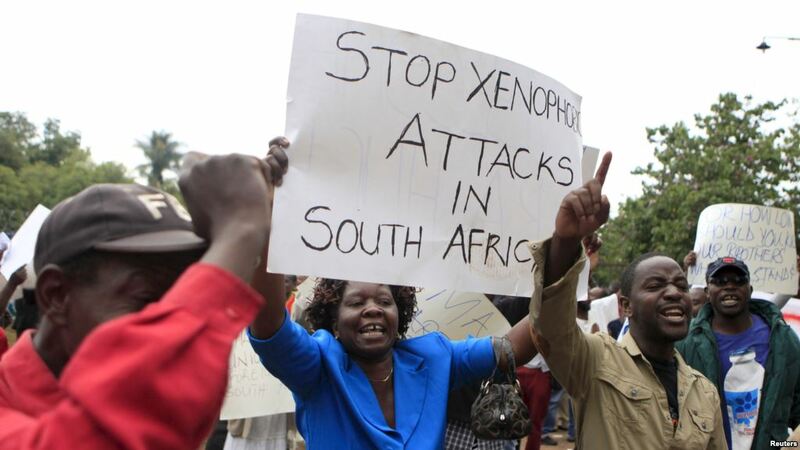 A wave of xenophobic attacks in the country of historic fighter against apartheid and leader Nelson Mandela has spread fear among migrant workers and foreigners who keep business. Remarks like those, with the direct threat of violence, have alarmed politicians and activists in South Africa, who say they amount to an open challenge to the post-apartheid order and its elected leadership, from the traditional head of its biggest ethnic group, the 10 million strong Zulu nation”. Ironically, President Zuma’s eldest son, Edward, last week also came out in full support of King Zwelithini’s controversial statement. President Jacob Zuma, whose party ANC won by 62,2% of votes in May 2014 elections, said addressing to the parliament that the police are working round the clock to protect both foreign nationals and citizens and to arrest looters and those committing acts of violence. Since the provocative remarks of Zwelithini on March 20, the results of the attacks are at least seven killed people, destructions of shops, open attacks to foreigners and the international community’s outcry. “The Philippines on Wednesday, April 22, denounced the wave of anti-immigrant violence in South Africa as the Southeast Asian country advised its estimated 3,000 nationals there to keep themselves safe”, reports Rappler. The Philippines’ Department of Foreign Affairs (DFA) said in a statement: “The Philippines condemns the wave of violence aimed at foreign workers, and joins the South African government and the international community in denouncing the aggression directed against foreigners during these 3 weeks of unrest”. NSNBC reports that neighbouring’s Mozambique Deputy Health Minister Mouzinho Saide, “informed the press on April 21st, that the recent violence against migrant workers and other foreigners in South Africa caused some 1,500 Mozambican migrant workers to flee. Saide added that 107 of the Mozambicans returned from Durban in buses which had been made available to them by the government”. Nsnbc also notes: “Most South African, Mozambican and international media as well as politicians would tout the violence as ‘xenophobic’” and adds that: “The underlying causes are, however, by some analysts considered to be closely related to the South African ANC government’s failure to negotiate appropriate wages for both South African and for migrant workers with South African trade unions”. The same website concludes: “Arguably, decent wages rather than neo-liberalism, lethal violence against striking workers and a race to the bottom under BRICS cover would be a better remedy for the situation than Jacob Zuma’s call for a day of prayers against the violence”. Violence against foreigners and xenophobia are against the mentality of Rainbow Nation’s hardly acquired liberties. And as Democratic Alliance leader Mmusi Maimane said in parliament according to spyghana.com: “In 1994, (late) President Mandela made a commitment that never and never again shall it be that this beautiful land will again experience oppression of one by another”. Several separate and seemingly different forms of public protests and debates are “running” these days. One of them is an international call from Avaaz to sign a petition for a just rule of arbitration on the known in Spanish as Caso Philip Morris Contra Uruguay, which started about five years ago. In this case, the big tobacco company sues Uruguay for having legislated anti-smoking laws. 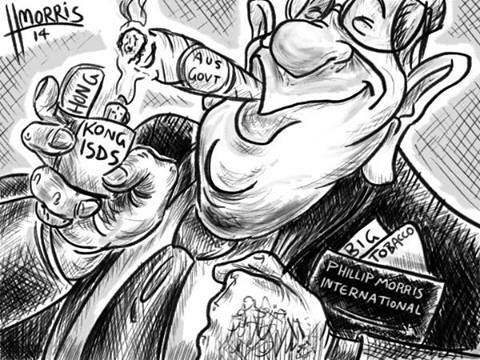 As it is the practice and after the July 2013 decision of the tribunal that it has jurisdiction to examine the case, the “complaint” of Philip Morris will be dealt and settled by the International Centre for Settlement of Investment Disputes (ICSID) a member of World Bank Group. The company claims a compensation of $25 million for the anti-smoking campaign of Uruguay with photos on the cigarette packages. More that one million people have signed the petition until today. In this case, the country has to defend its attempt to safeguard public health by passing anti-smoking laws and applying practices used all over the world. Another wave of protests is taking place this week, 20-24 April with marches and events in Europe, Canada, USA and elsewhere. More than 20,000 participated in the recent marches and about 1.8 million have signed the internet declaration “STOP TTIP and CETA”. Protests are against the Transatlantic Trade and Investment Partnership (TTIP) between EU and USA, the Canada-EU Trade Agreement (CETA), and the Trade in Services Agreement (TISA) a trade agreement currently being negotiated by 24 members of the World Trade Organisation (WTO), including the EU, three infamous pending agreements. All of the agreements aim to “liberalise trade” either of goods or of services. The talks for TTIP have started (formally) in 2013 and remained secret even for the members of the European Parliament. Only after leaks of information which demonstrated the dangers for several sectors, MEPs and the public demanded transparency. The same secrecy applies to EU-Canada negotiations. All of their terms are promoted as beneficial but Ulrike Hermann in “Free Trade Project of the Powerful” notes in the conclusion about TTIP: “The Canadian lawyer Howard Mann, who has dealt with investor protection agreements for more than 15 years”, assessed that, “this agreement [CETA] was the most ‘investor-friendly’ contract the Canadian government had ever negotiated”. TTIP is a high target for USA and both the government and the lobbies have demonstrated their deep interest in many. The dominance of the multinational companies, the privatization of public and social services and their fall to corporate giants are inevitable components of the agreement while the demonstrated benefits (for the people of both parts) are strongly challenged. Since 2013, a number of EU laws have changed, fragmentary though methodically, in an attempt to ensure “conformity” to the terms and conditions of TTIP which according to studies and publications threaten (in both sides): Democracy itself, Food Safety, Jobs, Environment, Public Services and Personal Privacy. TTIP also includes provision for Investor-State Dispute Settlement (ISDS), which is the tribunal mechanism involved in the Uruguay Case. USA has insisted on including the clause in the agreement but according to information of January, the EU won’t decide whether to include it in the TTIP until the “final phase of the negotiations” with the US. A major contribution to the public alert both in EU and USA about the agreements have offered the releases by the Wikileaks of a series of classified documents revealing terms and chapters of the other (also disputed) agreement, the TPP. This “regional regulatory and investment treaty” which is top priority for Barack Obama, involves USA and 11 more countries, all of which control the 40% of the world’s economy -i.e. Australia, Brunei, Canada, Chile, Japan, Malaysia, Mexico, New Zealand, Peru, Singapore, and Vietnam. The talks started in 2005 and have long passed their initial time-limit of 2012, as a wave of movements, activists and professional groups have questioned the clauses -especially after the documents publications by Wilileaks-, but also because of the discrepancies of interests between the countries. The involving parts (the US overarching) claim that the results would be in favour of their countries and for the middle classes in particular, as President Obama stressed facing the criticism even from democrats, about the fast-track procedures on TPP. Elizabeth Warren, the democratic senator -who is encouraged and supported by Media to run for the nomination for president- has initiated the internet campaign “No vote (by the Congress) on fast-tracking trade until the TPP agreement is public”. She also denounces the secrecy which has kept people out of “locked doors” about the information for TPP. It is obvious that secrecy is a common factor of all negotiations on the so-called “free trade” agreements and the debate procedures that European Commission opened, function more than a propaganda channel rather than a voice of people. After keeping the public in ignorance and mediocrity, the long time negotiations from their part, serve the gradual strategy, both strategies of manipulating the population according to Noam Chomsky. It is also a common knowledge that corporate rules in USA; USA seeks the final signs of TTIP and TPP; the corporate seeks the agreements which means that their profits from them are evident. Furthermore, corporate profits and interests are by definition and proven, against people’s benefits. So, apart from terms concerning foods, environment or public services, which is the extra danger deriving from the ISDS term? When a company invests and operates inside a country, it must comply with state laws. In case of changes of laws, citizens as well as companies have to conform. That is the norm but not under signed agreements which include ISDS term. Under ISDS, if the investors, usually trans-national corporations, find that the new legislation affects their interests they have the right to demand compensations. “They are able to bring claims for damages against the host country even if they have no contract with its government”, as described by John Hilary, in “TTIP: Charter for Deregulation, an Attack on Jobs, an End to Democracy”. Any dispute is resolved by the arbitration tribunals. No matter what the beneficial act for the country and its people is, the supportive system of arbitration, almost by default decides in favour of the investor a practice that lead them to lose any credibility, according to an older (no longer available) Public Statement On The International Investment Regime, supported by academics with expertise on investment law, arbitration, and regulation. …Under NAFTA rules, Canada was forced to revoke its ban on the fuel additive MMT under a challenge from US Company Ethyl. In a later case over water and timber rights, Canada had to pay out $122 million to the Canadian paper company AbitibiBowater. It is worth noticing here that some domestic companies “reinvent themselves as ‘foreign’ investors in order to take advantage of ISDS privileges and sue their government” according to Gus Van Harten’s, Investment Treaty Arbitration and Public Law, as cited by Hilary. US tobacco giant Philip Morris, apart from Uruguay, is also suing the Australian government for billions of dollars over its public health policy that all cigarettes must now be sold in plain packaging. Until 2011, 27 claims were pending against Argentina at the ICSID, accounting for more than 1/5th of that institution’s pending case-load. All but 1 of these 27 cases involve claims relating, at least in part, to Argentina’s response to its earlier financial crisis. In short, Argentina was sued to pay hundreds of millions of dollars for the measures it took against its financial crisis. Another South American country, Ecuador, has been ordered to pay to Occidental Petroleum $ 1.77 billion in damages for terminating the contract when the company broke the law (ICSID’s the largest award in history). On the other hand, a separate tribunal dismissed the claim for $19 billion in damages by Ecuador against Chevron for the contamination of the Amazonian rainforest, although there is evidence of the pollution which cost lives. It becomes clear that arbitration tribunals are a kind of defenders and guardians of the interests of investors. Together with enforced legislation about GMOs and other food processes applied by big companies in USA, fossil fuels and energy, privatizations -especially of health services- or personal privacy attacks by the copyright, patents and trademarks clauses, all under the agreements, the arbitration provision has more than one level of risks. The TPP targets to completely uniform legislations of trade and services in countries around the Pacific, many of which are near China while TTIP, CETA and TISA involve European countries, all of which are near Russia. Within the EU, where the countries of the south suffer the consequences of economic destabilization caused largely by the very core of the Euro zone, it could be a matter of (short) time to become colonies of big corporations and multinationals. Or, as Noam Chomsky put it: “Every Word in the Phrase ‘Free Trade Agreement’ Is False”.